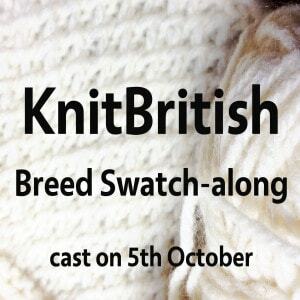 I have been blown away by your enthusiasm for the upcoming Breed Swatch-along. 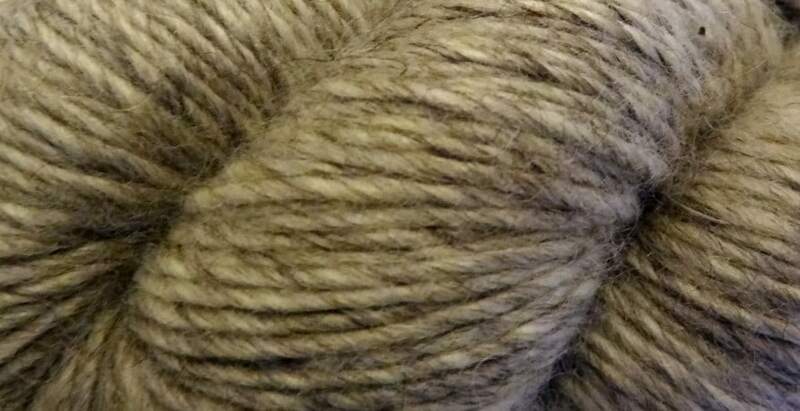 Given that I gave you such scant details in my first post you have been very excited and eager to take part, judging by the chat in the KnitBritish ravelry group. There have been lots of requests for more information, so let me furnish you with more details of this swatch-along! There will be a pro-forma review for the swatch-along which test-drives each stage from wool to swatch. KnitBritish – British breed wool from the British isles. KnitLocal – Any breed wool that is local to you, including British breeds which are located outside the British isles. The -along is aimed at getting us to explore as much of the British and local breed yarn available to us as crafters. There are over 60 breeds here in the UK and there are LOTS of ways to categorise British breeds – ALL of them are open to argument and interpretation. I have decided to categorise wool types using the British Wool Marketing Board wool category model of fine, medium, cross, lustre, hill, mountain and natural colour. Again you can argue that all wool is natural coloured, etc, but this is what I have decided to go for, to help give us a little structure. You can view the categories of these breeds already at the BWMB (follow link above) but I will also make a cheat sheet available for you too. Some of the breeds on this list aren’t readily available in knitting yarns, but I know there are a lot of determined swatchers out there who will be eager explore these wools. That takes care of the KnitBritish swatchers. For wool local to you, wherever you are….well, that’s a bigger list than I can ever compile, but this is where you become the detective as you explore what is available to you. I can’t wait for you to share your findings with us. When the cast on day looms I will make a set of questions and observances available so that everyone approaches their reviews in the same way. When you finish your swatch you can post your image and your review in the relevant FO thread. Please also document your swatch-along on social media using #breedswatchalong hashtag. We will also celebrate our swatches over at Wovember too and feature your images and reviews! I will also be writing a FAQ post which will give you more info on some of the details here. Feel free to leave a comment on this post if there is anything you are unclear about and which I can address there. Expect more posts on the swatch-along here and please do write your own blogs about taking part in the KAL. If you remember to join the KnitBritish ravelry group then your recent blog posts appear on the group page, to the right of the discussion board. I am really looking forward to reading your posts about our shared journey of woolly wondrousness! There is already some pre-KAL chat going on and do feel free to join in there. My next post is going to take a look at a swatch I knit earlier and look at some of the ways in which we will be investigating our swatches. Thank you so much once again for your enthusiasm and love for British and local breed wools. I can’t wait to discover more about wool, together as a community. I have no deadline fixed. To be honest there are lots of breeds out there and I think we can keep it running until we explore them ALL! Thank you Louise for your enthusiasm and love for British and local breed wools, for your blog and podcast without which I for one wouldn’t have tried pure wool. Like so many people I thought that I couldn’t wear wool until I read your blog and listened to your podcasts. Now I am beginning an exciting journey exploring British wool and learning about the variety of sheep breeds in the UK. If using British breed wools also helps to maintain rare and at risk breeds then even better. Oh Margaret, that is wonderful to hear! Thank you so much! Very excited about this swatch-along – I’m going to go stash diving as I know I have various skeins I’ve picked up at shows. Will it be up to us to decide how to swatch? i.e. will you have set patterns or just have the size of square indicated and it’s up to us to pick a stitch pattern? Excellent – I think I will challenge myself to try some new stitches too. hee hee! isn’t it just! standards are great for something like this, but you know me, there will be a healthy dose of fun in it too…especially when I ask people to try and wear their swatch out a bit! no, you are the best!